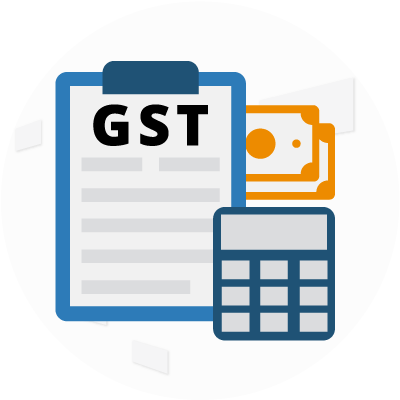 Indian GST | Synconics Technologies Pvt. Ltd. It was introduced as The Constitution (One Hundred and First Amendment) Act 2017, following the passage of Constitution 122nd Amendment Act Bill. The GST is governed by a GST Council and its Chairman is the Finance Minister of India. Under GST, goods and services are taxed at the following rates, 0%, 5%, 12% ,18% and 28%. There is a special rate of 0.25% on rough precious and semi-precious stones and 3% on gold. In addition a cess of 22% or other rates on top of 28% GST applies on few items. GST replaced a slew of indirect taxes with a unified tax and is therefore set to dramatically reshape the country's 2 trillion dollar economy. GST is one indirect tax for the whole nation, which will make India one unified common market. GST is a single tax on the supply of goods and services. GST is a destination based tax which is levied only on value addition at each stage because credits of input taxes paid at procurement of inputs will be available. Thus, the final consumer will bear only the GST charged by the last dealer in the supply chain, with set-off benefits at all the previous stages. What taxes will be levied under GST? 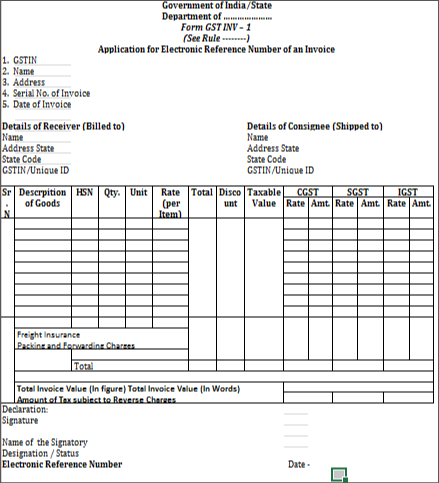 SGST would be leviable along with CGST on the supply made by a registered person within a State. Just as SGST is leviable along with CGST on the supply made by registered person within a State, UTGST would be levied along with CGST on the supply made by a registered person within a Union Territory. However, in no case, both SGST and UTGST would be leviable on an invoice of supply of goods or services or both. It would either be SGST or UTGST along with CGST would be leviable on the invoice. IGST would be leviable on Import or Inter-State supply of goods or services or both. 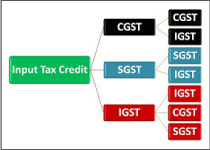 IGST would be equivalent to sum total of CGST and SGST/UTGST. Under the current tax regime, various transactions and financial services attract service tax, which is going to be replaced by GST. As of now, service tax is flat 15% across all type of services. However, under the GST, it will be divided into four slabs i.e. 5%, 12%, 18% and 28%. 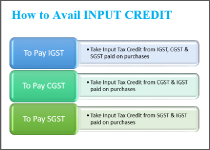 Input Credit Mechanism is available to you when you are covered under the GST Act. Which means if you are a manufacturer, supplier, agent, e-commerce operator, aggregator or any of the persons mentioned here, registered under GST, You are eligible to claim INPUT CREDIT for tax paid by you on your PURCHASES.